There are plans to bring a ‘judicial review’ case following the Government’s announcement in the Summer Budget 2015 for changes to taxation affecting individual landlords to be phased in from 2017. 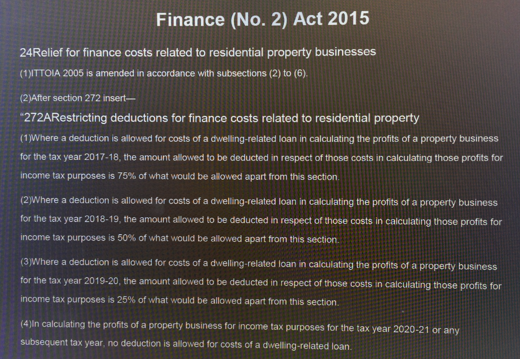 The Government has introduced a restriction on individual landlords which will prevent landlords from deducting their finance costs (such as mortgage interest) from their taxable income prior to be being taxed. They are replacing the relief with a tax reduction equivalent to the basic rate of Income Tax (capped at 20%). In practice this will result in those landlords with an income exceeding the upper threshold of the basic rate being taxed on a significant portion of their turnover, rather than profit. Jim earns £45,000 from his main employment and £20,000 from his buy to let investments. He has BTL mortgages and the interest is £8,000. Currently he can deduct the interest payment from his income so that his taxable income is £46,400 (after deducting his personal allowance of £10,600). After 2020, based on the same figures, his taxable loan reduction (of 20%) would be £1,600. His taxable income would be £52,800. removing the barriers to incorporation. Although the changes are designed to level the playing field, the changes will not apply to companies who will have ‘the advantage’ over owner-occupiers. 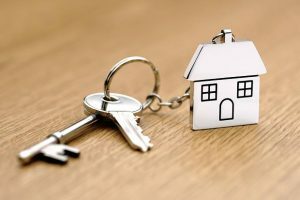 It is thought that the changes will give an advantage to institutions, corporations and wealthy cash buyers over individual landlords as they will not be affected by the changes. The fact that the new rules do not apply to companies may further increase the attraction of operating a residential property lettings business through a company. However, there are many other tax matters to consider and you should seek separate tax advice if you are considering incorporation. Currently, two individual landlords (Chris Cooper and Steve Bolton) are heading up a campaign and they are seeking legal advice with the intention of bringing a ‘judicial review’ case. A judicial review is a type of court proceeding where a judge would review the lawfulness of a decision or action taken by a public body (in this case the Conservative Government). Specifically they are considering challenging Clause 24 of the Finance Act 2015, which they believe may unlawfully breach human rights and/or European Union law. Although the changes are designed to level the playing field between landlords and owner-occupiers, the changes will not apply to companies who will have ‘the advantage’ over owner-occupiers. Previous Post 2016 – A Year of change for Planning Permission?